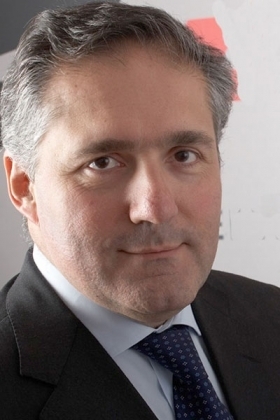 Alfredo Altavilla will jointly steer Fiat Industrial S.p.A.
TURIN -- Fiat S.p.A. CEO Sergio Marchionne has appointed Alfredo Altavilla, his top lieutenant, as CEO of the Iveco truck unit that's being spun off from Italy's largest vehicle manufacturer. Altavilla, 47, will jointly steer Fiat Industrial S.p.A., a new company that will emerge on Jan. 1 from the spinoff of Fiat's truck, construction and farm equipment businesses from its core auto operations. Fiat Industrial will be run by co-CEOs -- Altavilla, as head of Iveco, and Harold Boyanovsky, CEO of farm and construction equipment maker Case New Holland. Boyanovsky, 64, is based at CNH headquarters in the United States near Chicago. “Altavilla is a manager who has the absolute trust of Marchionne,” said Marco Santino, a consultant at A.T. Kearney in Rome, which has worked for Fiat on supply-chain operations. At Iveco, Altavilla replaces Paolo Monferino, 63, who is leaving Fiat S.p.A. to become head of health services for Piedmont, the region in which Turin-based Fiat is located. Altavilla will keep his current two positions as head of Fiat group business development and CEO of Fiat Powertrain Technologies, until January when the positions will be reassigned as part of the spin off. He will also keep his seat on the board of Chrysler Group, in which Fiat has a 20 percent stake. Philippe Houchois, an auto analyst at UBS in London, sees the Iveco posting as another positive step forward in Altavilla's career. “I view Altavilla as a potential successor to Marchionne, so Iveco gives him a broader experience,” Houchois said. Altavilla was born in the southern Italian port town of Taranto, where his father owned a Lancia dealership. He joined Fiat in 1990 to manage product development, international ventures and strategic planning. During his career he has been in charge of Fiat Auto's operations in China, India and Turkey. He also led the Fiat side of the Italian automaker's former alliance with General Motors Co.